The XE295 is our mid priced traditional elliptical. 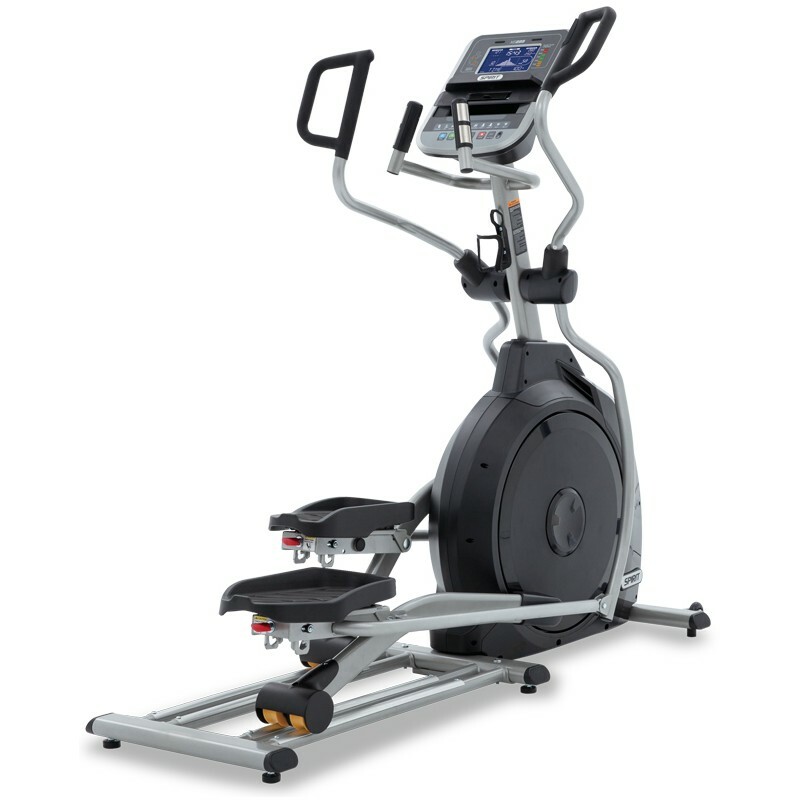 It has the same features as the XE195 plus two heart rate and user programs, additional console feedback, adjustable pedal angle, and various handgrip positions along with a dual track system. This model is very appealing to someone that values extensive feedback. 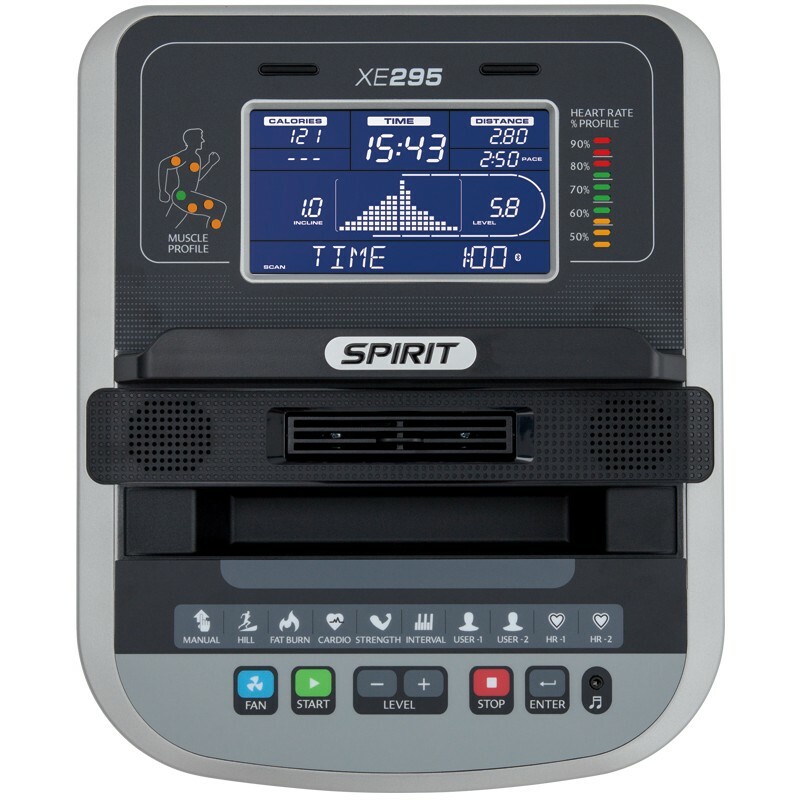 This unit features a bright blue backlit LCD console, a multitude of program options, wireless heart rate, an anatomical figure that specifies which muscles are minimally and maximally activated, and a 2” Q-Factor (space between feet). 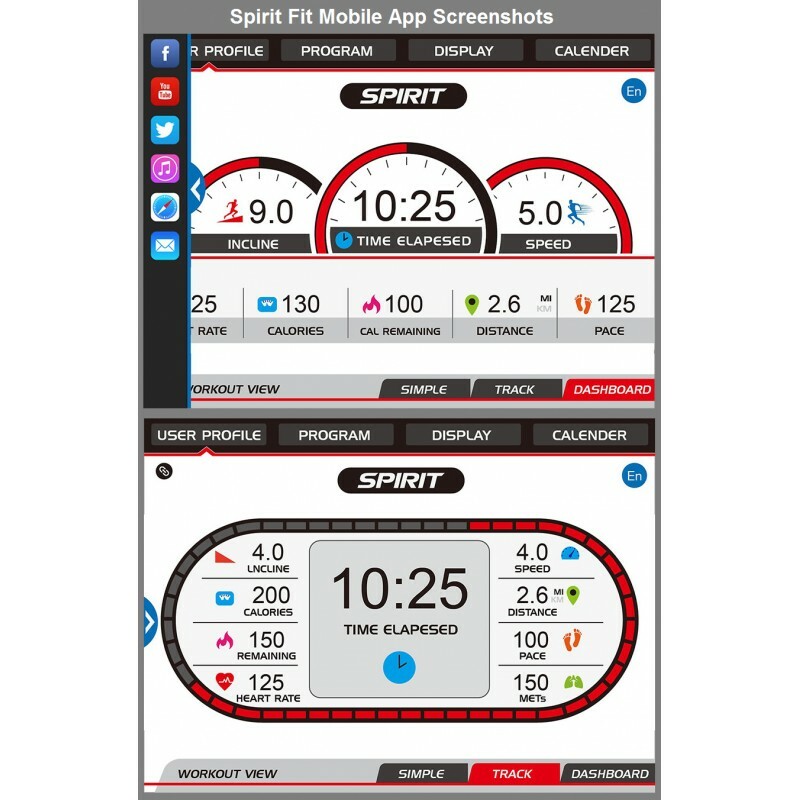 The XE295 also works with the SPIRITFIT App! • Bluetooth compatible with SPIRIT FIT App to monitor and record your workout data.